Okay, I finally get it, an automatic transmission vehicle can be fun. Let me explain how I finally got to that conclusion. First, a little background. I’ve been a tried and true manual transmission fan since I started driving back in 1978. Once I laid hands on the Hurst 4 speed pistol grip shifter in my Dodge Challenger T/A it was all over. The car and I were one. It spoke to me as it revved. The car and I decided when I should row the gears depending on the driving situation I was in. It was great fun. For years this went on with every new car and it was always a stick. Even when the first two kids came along the wife and I (she is also a manual fan) ordered the first family truckster, a 1998 Jeep Cherokee, with a 5 speed manual! Eventually we had to cave in and get an automatic when my third child came along and we got a MB ML320. No stick option with that one but I kept on getting manuals in my daily drivers right up until just a few weeks ago. Now, recently I was shopping for a 4 door sedan and saw a new Audi S3. I had looked at the S3 previously but they had made some updates to it and it really caught my eye this time around. On top of that, Vegas yellow, a former $3500 exterior color option, was now available on the car at no cost! Well, you know my weakness for bright colored cars so I went to check it out further. Great car, no stick, but I decided to take the plunge anyway. I took delivery of the car at the end of April and have been enjoying it ever since. A couple of weeks had gone by since delivery when Alberto from the Audi dealer called me and wanted to schedule a technology refresh. The car has so much new technology that after I had been driving it for a few weeks he wanted to sit with me to make sure that I knew everything the car could do. We spent 30 minutes delving deeper into the Nav system, the audio system, and the virtual cockpit. Once we were done Alberto turned to me and asked if I had tried out the Launch control feature yet? I respond “no” and he asked, with a grin, if I would like to? I said sure. We took off to find a quiet street to try this special feature out. anymore. Fast forward to 2018. The S3’s computer knows everything about the operation of the car, and it even knows when you want to misbehave! Once Alberto and I were sitting on that quiet street he told me to point the steering wheel forward, put the car in sport mode, turn off the traction control, and put my left foot on the brake. What happen next was amazing. He then told me to floor the gas pedal!!! I did and the car started to growl like crazy but the engine management system was in full operation. No over-revving engine, no lunging, the car ramped up boost from the 300hp 2.0T and waited for my signal. Alberto said to release the brake when I was ready and with that the car shot forward like a scalded cat! Unbelieve launch performance. No tire squeal, no loss of control, just solid thrust as the car just took off. The S3 will do 0-60 in 4.6 seconds compared to the 6.1 for our manual 968s. It was an amazing and impressive performance and one I can reproduce at any time but most important, it left a big smile on my face afterwards. This was a fun experience provided by my automatic S3. So, maybe I won’t miss the stick too much. Besides, I still have plenty of manual transmission cars back at home waiting for me when I have a shifting itch that needs to be scratched. 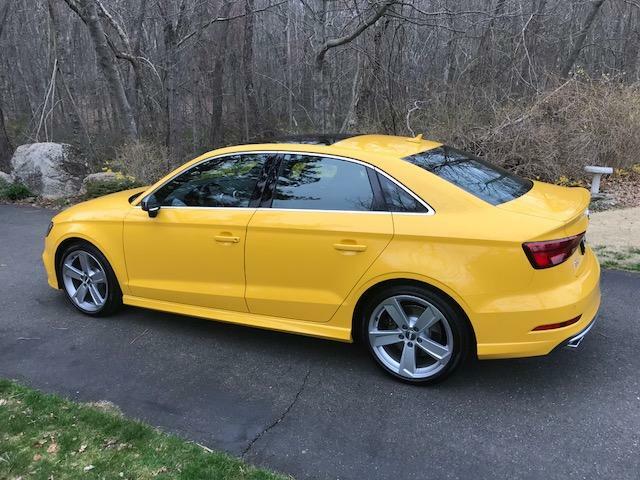 2018 Audi S3 – The Audi Vegas Yellow is a dead-ringer for Porsche’s Speed Yellow. For this month’s issue I thought I would write up an article on the 968 audio systems as they are pretty straight forward. 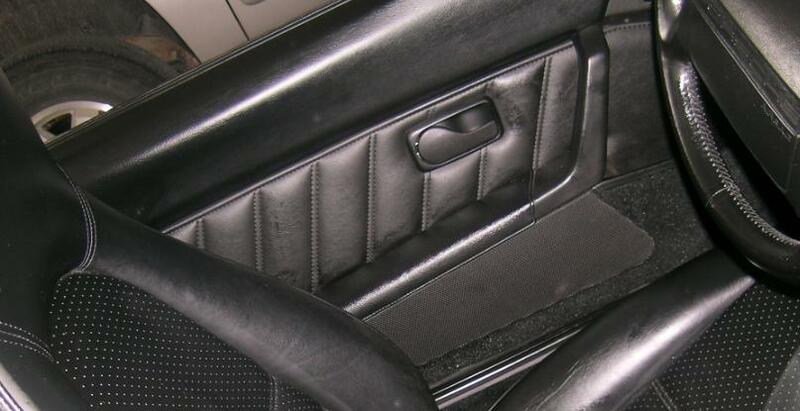 Option code 331/CR-1 – As you probably know, this was the standard setup on the 968 coupe and cabriolet for all four years of production and included the CR1 am/fm stereo with cassette tape. It was listed as “Radio with cassette player” or “am/fm radio cassette player” on the window sticker with an associated cost of “N/C”. This setup included six speakers, two in each door and two in the rear seating area. This was the most popular setup on the North American 968 with 2,021 (90.47%) of the coupes equipped with it and 1,739 or (86.6%) of the cabriolets. Option code 490/Hi-Fi sound – This option got you additional speakers and amps and was available as an option no matter which head unit you had. The coupe received 10 speakers and the cabriolet got 8. The cost was listed as $292 in 1992 because the amplifer system was listed separately. 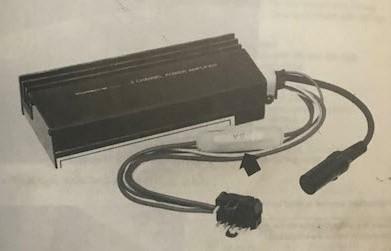 For 1993-1995 the amplifier was included in the package and listed along with the speakers on the window sticker with a cost of $561. This was fairly popular option on the North American 968 with 807 (36.12%) of the coupes equipped with it and 864 (43.03%) of the cabriolets. Option code 494/Amplifier system – This 1992-only option was included with the Hi-Fi sound option on 1992 968s. It has its own option code and is listed separately on the window sticker as “amplifier system”. At a cost of $300 it included two amps, one found under each front bucket seat. 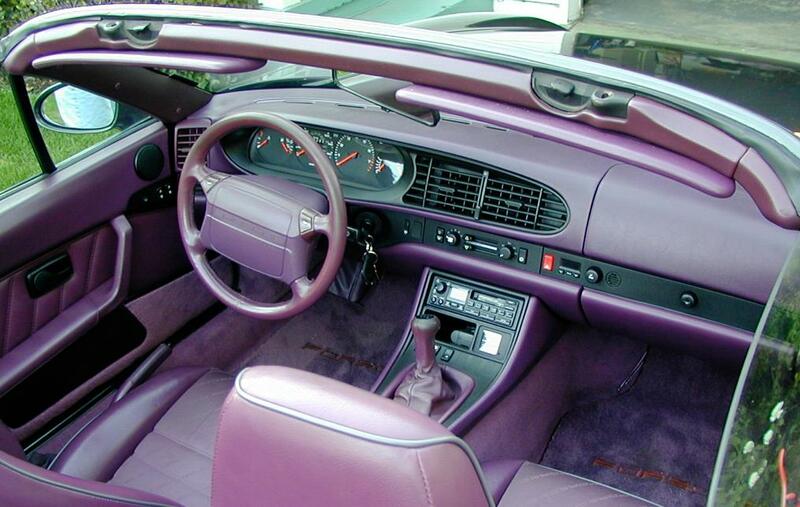 At some point later in production (1993) Porsche went to just one amp under the passenger seat. Option code 691/CD-2 – This was the am/fm single CD player unit with equalizer named the CD2. The 691 code was used for 968s produced during September 1991 and May of 1993. I believe the unit was manufactured by Becker for Porsche. 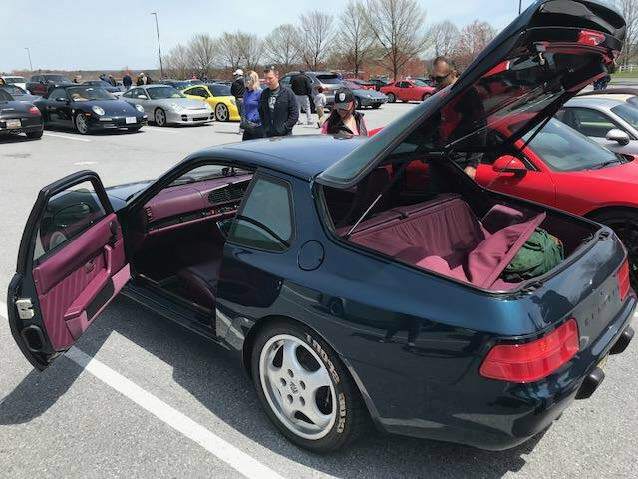 If the 968 owner wanted this unit it was packaged with the 490 Hi-Fi sound system and listed as “Radio with CD player/amplifier” at a packaged price of $1,347. This was an expensive option on the North American 968 so it is rare with 184 (8.24%) of the coupes equipped with it and 211 (10.51%) of the cabriolets. Option code 694/CD-2 – This was the am/fm single CD player unit with equalizer named the CD2. The 694 code was used for 968s produced during February of 1994 through the end of production in October of 1994. I believe the unit was manufactured by Alpine for Porsche. Unlike the earlier code 691 unit, the 694 unit was no longer packaged with the 490 Hi-Fi sound system. You could purchase the 694 “a la cart” and it was listed as “AM/FM Radio with CD player” on the window sticker and now at a significantly reduced price of $299. 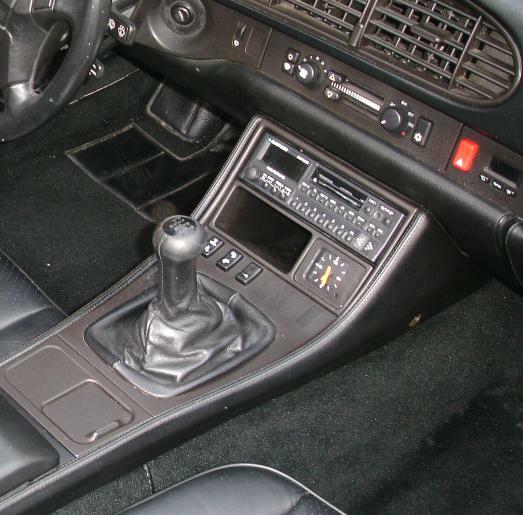 FUN Fact – Porsche switched manufacturers of the CD2 in-dash CD unit to Alpine during the 968s production run. 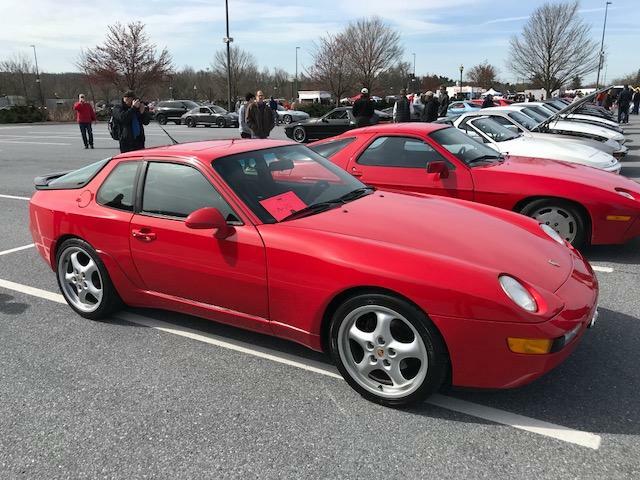 Not a single 968 produced between May of 1993 and February of 1994 came shipped with a CD2 while they switched manufacturers. 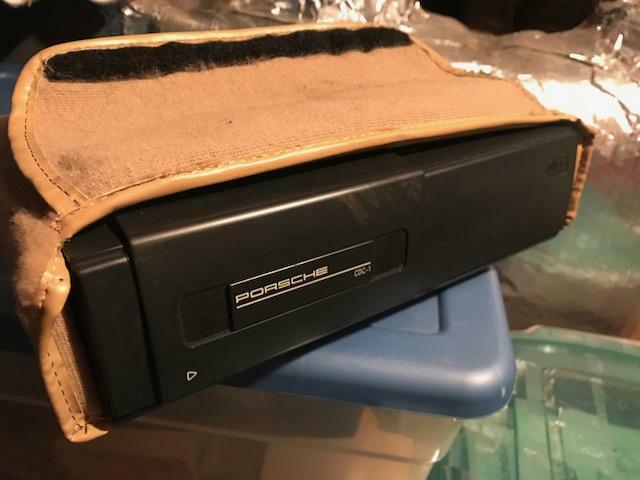 Option code 692/CD-C1 Remote CD changer – This was the remote CD changer which was mounted in the trunk of the 968 and covered in a matching carpet sack. The unit was ONLY available with the CR1 which had the controls built into it. The unit had a 6 disc magazine. The unit was listed as “CD changer CD-C1” on the window sticker at a cost of $1250 in 1992 and $1245 for 1993-1995. 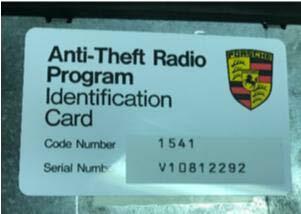 FUN fact – While Porsche geared up production of the 968 some of the earliest cars used a carryover radio from the 944. The Blaupunkt Stuttgart unit was used on 3 coupes and 8 cabriolets produced in September of 1991. 3 early coupes and 4 early cabs have no radio code at all. The value of the above units in used working condition has increased dramatically as the 968 enters the collector car realm. The 964s/993s used the same head units so that could have something to do with their increased value. Working CR1s are trading in the $750 price range and CD2s are well over $1,000. Many of us like to collect stamps. When I was very young my mother told me about S&H green stamps. You would receive these at stores as a reward for purchases and as you collected them you could trade them in for prizes. Back in the seventies I can remember my brother and I collecting NFL player stamps at the local Sunoco station. When Dad would fill up the car he would get the free stamps which we would add to our official book with the ultimate goal of collecting them all. More recently I ran into a retired couple who is traveling the country visiting all of the National Parks. A big part of their visit is to go to the front desk of that park and get an official National Park stamp for their official visitor’s book. They had collected over 200 of them and had another 200 parks to visit until they could fill up their book. Ah such fun. First a disclaimer: we are assuming that “back in the day” the original dealer followed the process and filled out everything that they were supposed to. 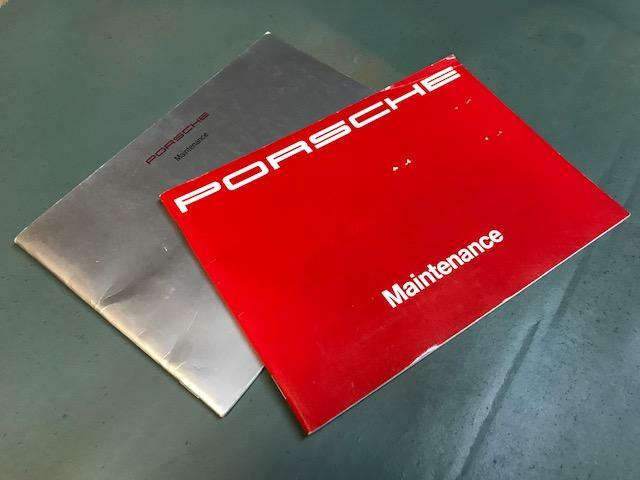 If that was done then years later, as the current owner of your collector Porsche, you are now enjoying the fruits of their labor by knowing exactly how the original delivery date and the following vehicle maintenance played out. When perusing the book we start with the inside cover. Here you will find a neat pocket for the original salesperson’s business card. 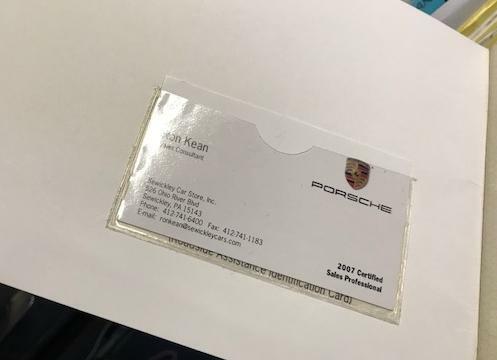 The original dealer would often place their business card in the pocket for contact reference in case the new owner had a question or problem or maybe a referral for a future sale. Moving to page one we find all the good stuff. First up, the “first in-service date of your Porsche”. Here you’ll find the date your Porsche drove off the dealer lot as well as the mileage. The first registered owner’s name and signature along with the signature of the dealer is here as well as the first dealership stamp! 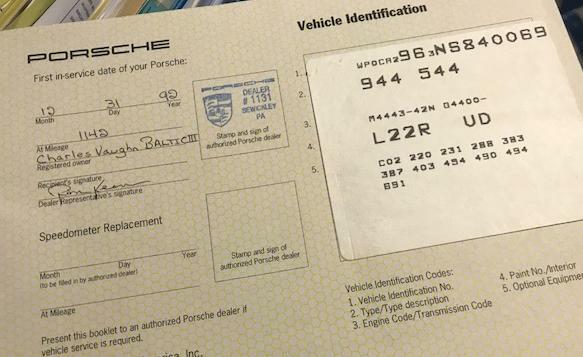 An official Porsche dealership stamp is made up of the Porsche emblem, the dealer number, and their location and is used to certify activity in the maintenance book. Page one continues with a copy of the vehicle information sticker illustrating your VIN, paint and interior codes, and options codes along with some additional information. Page two of the manual lists all the car’s owners. Details on up to six owners can be found there. The remainder of the book is dedicated to maintenance. The next few pages highlight the factory recommended maintenance schedule along with the mileage and suggested time interval associated with each. The book then documents the maintenance visits with six sectioned boxes per page to record a visit, the detail on the performed activity, and collect that official stamp. Box number one is the delivery inspection showing the date and mileage. Typically the first maintenance box was filled out as the car went through new car dealer prep and was delivered. The remainder of the boxes were set aside for maintenance with a check box for yearly, vehicle, or emissions control maintenance and an area to enter the date and mileage at the time of the maintenance. Then the dealer would certify the visit with that all-important stamp and sometimes a signature. This process would go on for years and track the car’s maintenance history as it visited the dealer. Now even though the maintenance book was put together to document visits to the dealer it is not uncommon for the independents to jump on the bandwagon and add their maintenance history as well. Many of the indies have gone to the trouble of having a rubber stamper made up so that they can put their stamp in the book along with the information on the work performed in the same manner as the dealer and that is fine. Documented maintenance is documented maintenance no matter where it is done so it is good to have. I do much of the maintenance on my cars myself. That said, there are still jobs that I need someone more skilled or with the proper tools to do. 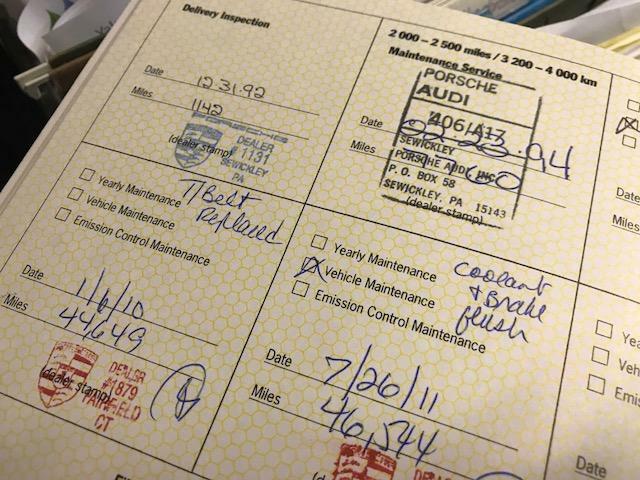 As a PCA member I often utilize one of our local independents to do the work but I will also visit the dealer on occasion knowing that not only will have I have the work done by a factory certified mechanic but I also get my official book stamp. As the current caretaker of my Porsches I feel good doing my part in maintaining the documented maintenance history of my car and I know that a future owner will appreciate that just as I have. Maybe it is just me but I think receiving the stamp in the book that began all those years ago is pretty neat. 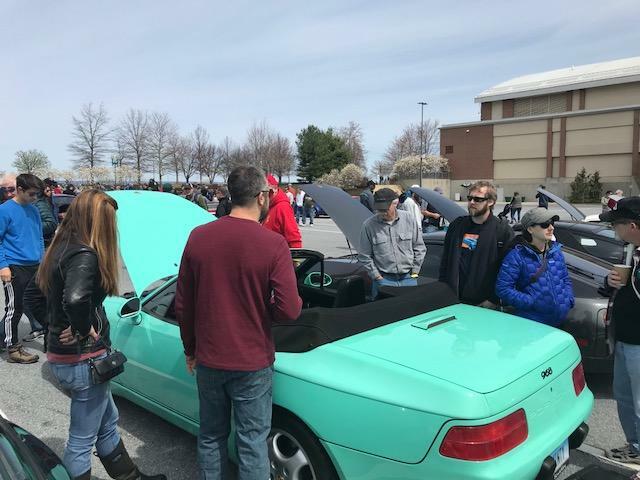 2018 PCA Swap at Hershey (PA)/April 21st – I attended this year’s event and it was a blast. The weather was fantastic and we had about 20 968s in attendance. I saw many 968 pals including Aaron and Minta, Russ, Pete, John, and even former 968 register advocate Don stopped by to say hello. 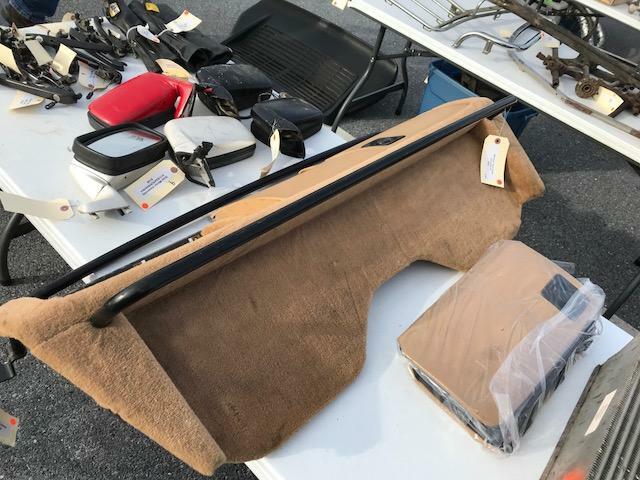 There was tons of parts to purchase and close to a 1,000 Porsches of all varieties. Minty was entered in the tough 924/928/944/968 which had 21 cars competing but she took first in class! It was a great time. Bob Furth and Kaj Hallstrom are busy putting together another west coast event. Details appear below. This PCA event is sponsored by the Arizona Mountain Region. There will be a gathering of 968 owners this summer in Sonora, CA, June 29th to July 2nd. 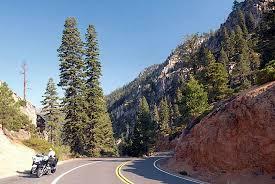 Sonora is located on historic CA Highway 49, at the foothills of the Sierra Nevada Mountains! In the beautiful Sierra Nevada Foothills, in the heart of California’s “Gold Country” lies Sonora, named after the miners from Sonora Mexico who settled the City in 1848. Known as the “Queen of the Southern Mines”, Sonora still holds onto its historic downtown charm while thriving as the commercial, government and cultural center for the region. This should be a great base for scenic drives, social time with fellow 968’ers and exploring the local region! For those who made the 968 Gathering in S. Lake Tahoe, this is a little southwest of that and we will have an opportunity to enjoy some of the same styles of roads and scenery! Stops are being planned at several nearby historical venues. The base hotel is the Sonora Inn with discount rates of between $135-$145 per night; depending on room type. There are other higher-priced hotels/inns/B&Bs and some lower-priced lodging to suit all pocketbooks and tastes. One caution, there are no first floor rooms at the hotel and the elevator is under repair and may not be operational. If this is a concern, they have an adjacent property with first floor rooms that you can book. The block of rooms will be released after May 29th.